"The first time I came to Rocket City Chiropractic I was experiencing headaches at the back of my head. They ranged from mild to so severe they would render me motionless. I also would have a stiff neck by the end day. The headaches would limit my activities, deprive me of sleep, and affect my work. I had been dealing with those conditions for 2 months. I had seen a medical doctor and he took X-Rays and said my neck was degenerating and the cause was unknown. I was concerned that I might have to have neck surgery and I was not ready for that. So for my headaches they gave me medicine for 10 days, but they returned, and for my stiff neck I was given anti-inflammatory medication which only worked as long as I was taking it. After only 3 visits the headaches are much less frequent and I am also sleeping better at night and I am able to work throughout the entire day and leave the office without a stiff neck. Not only am I more healthy, at age 48 I am able to play competitive soccer with teenage boys and keep up. They were straight forward in explaining my condition and what it would take to get me better. 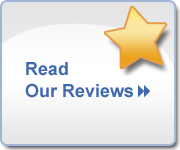 The staff are sincere and interested professionals who desire to see their patients get healthy." "My son Will is 2 1/2 years old and has had chronic ear infections for over 2 years. When I first brought him to Rocket City Chiropractic he had just finished his 6th round of antibiotics in 6 months. The high doses he was taking were making him vomit, have diarrhea, and have yeast infections. Will had tubes in his ears at 9 months of age, when the infections stopped responding to the antibiotics. He had taken countless rounds of antibiotics which only helped temporarily. A coworker of mine told me I needed to bring him to Rocket City Chiropractic. I’m so glad I did. He is no longer taking antibiotics. Even though spring is usually Will’s worst season for ear infections, he has not had one since beginning chiropractic care in March. He even had a cold in May that did not prompt any ear infection. Rocket City Chiropractic relates well to children, and Will loves coming to see him. The staff is wonderful, kind, and professional. They made Will feel right at home. My son has received excellent results and I would definitely recommend Rocket City Chiropractic." "When I first came to Rocket City Chiropractic it felt like I was walking around with my head in a box. I had hearing problems in both ears due to severe clogging in the middle ears as a result of severe congestion due to allergies. My left ear was 100% clogged, and the right was up to 50% clogged making it very difficult to hear. I had this condition for almost 3 months. I had been to my family doctor and was taking 3 different medicines with no results. I had been to an Ear, Nose, and Throat doctor and was taking another medication that wasn’t working and he recommended an ear drum incision and suctioning the fluid out of my middle ears. I was not sure about that. After only 3 adjustments my hearing had improved considerably, now my hearing is back to normal. AMEN!! I also appreciate his professionalism and the staff's warm and friendly demeanor. I enjoy my new relationship with all of them. I have a new respect for the field of chiropractic due to my experience here at Rocket City Chiropractic." "I had been having migraine headaches, neck and shoulder pain for 30 years. My neck and shoulders would knot up everyday from working at a computer all day. I had never been to a doctor for these problems because my mother suffered with the same problems so I thought it was hereditary. I just learned to live with it. Then I was told about Rocket City Chiropractic. Since being under chiropractic care with Rocket City Chiropractic, I no longer have migraine headaches and the neck and shoulder pain is gone! I have also noticed when driving that I have better range of motion in my neck. The staff treated me very well and is always smiling and they genuinely care about my well-being. I like the time they take to help you understand, with kind words and the gentleness of the treatments. The patient orientation class is very important and meant a lot to me. I learned a lot and it opened my eyes to the benefits of chiropractic." "I came to Rocket City Chiropractic because I was suffering from chronic back pain, headaches, neck pain, sinus problems, acid reflux, painful periods, and was recently diagnosed with IBS. The back pain started 4 1/2 years ago after the birth of my third child. The pain begins dull and then turns to sharp and it gets worse after sitting or standing for long periods of time. The level pain depends upon the level of my activity and my activity level is very high as I have 3 boys to keep up with. I have had headaches and sinus problems for as long as I can remember. I have seen several doctors over time for those conditions. I was given medications which only seem to ease the pain temporarily. I had an MRI which came back normal, an endoscopy which determined I had acid reflux, and a colonoscopy which determined I had IBS. So I decided to come to Rocket City Chiropractic and I’m so glad I did. The staff was really friendly and quite helpful. They make you feel right at home. I really like the results of the adjustments. I have more mobility, which I need to keep up with my boys. The acid reflux is very minimal and I haven’t taken medication for it for 2 months. The pain from my headaches, neck and back are almost non-existent and absolutely no more painful menstrual cycles. Rocket City Chiropractic has truly been a blessing for me." "I came to see Rocket City Chiropractic by way of my 9 year old son who is a regular patient. I was having headaches ranging from mild to severe for over a year that at times would affect my sleep. I was taking over the counter medications which only gave me short time relief and that could never correct the problem. I had also been suffering with hip pain that been occurring off and on for over 12 years. So after seeing my sons great results, I decided I too should be seeking chiropractic care, and I am so glad I did. Since starting my care plan I have no more pain in my hip and my headaches are much less frequent and much less severe. The staff treats me wonderfully and at times I even feel pampered. I always leave feeling happy and relaxed. I have already recommended Rocket City Chiropractic to friends and family, and now my daughter and husband are also now patients." "When I first came to Rocket City Chiropractic I was unaware of chiropractic benefits. I had been suffering with headaches and migraines. I also had my sleep and housework distracted by severe lower back pain off and on for a year that at times would actually take my breath away. Some days. I was unable to do my normal daily routines. The pain was sometimes worse in the evenings and when I woke up in the morning. I took over the counter pain medications and could never get the problem corrected. So a friend of mine told me about Rocket City Chiropractic and I made an appointment. I couldn’t believe how quickly I felt better. I now have no lower back pain, much fewer headaches, and increased energy. I like the positive attitude of the staff. They treated me wonderfully and I am now a believer in chiropractic care for overall health!!" "I play high school football and during a game one evening I accidentally got hit in the head with the football. The hit caused me to have neck pain for about 2 months. Practicing and playing have now become more difficult due to the pain and throbbing. I didn’t seek any medical treatment, I did take Tylenol but it didn’t help. I was referred to Rocket City Chiropractic by a family member and I’m glad I went. My neck now feels great and hasn’t been sore in a long time. The staff treats me great and I like the friendliness I receive when I walk in. In addition to football, I am also wrestling for my high school and the adjustments I receive help to keep me healthy for tip top performance. I would recommend Rocket City Chiropractic to anyone!" "I had been suffering with neck and facial pain along with facial numbness and lower back pain for 3 YEARS. Other symptoms included vertigo, sinus problems , acid reflux and intestinal problems for many years. For these conditions in the past I have had x-rays, cat scan’s, and MRI’s. I have even had surgery for my sinus problems which didn’t help, and a painful root canal, not to mention after spending all that time and money on tests and medications, I still had the problems. Rocket City Chiropractic treated me extremely well. What I liked the most about my care, was that the problem areas were identified immediately. My neck pain has improved so tremendously! My sinus problems, facial pain and numbness have gone away. I have had no further incidents with vertigo. My lower back and stomach have also improved." "When I first came to Rocket City Chiropractic I was experiencing numbness in my left arm and it was always falling asleep. I was also having pain in my shoulder, neck, and in my hip. I was suffering with congestion and I wasn’t sleeping well at all. The combination of those conditions were affecting me at work as I need to be healthy and rested because I do physical type work. I had been suffering with the pain in my shoulder and neck for 4 months and the other conditions for over 20 years. I had tried alternative medicines that offered only short time relief while I was taking them but they could not correct the problem. I had also had been to a different chiropractor and received some relief but nothing compared to the relief I have received from Rocket City Chiropractic. My results have been excellent and I love how much better I feel. I always leave the office with a smile on my face. I am sleeping better and I am able to work harder and the pain is gone. I’m so glad I came to Rocket City Chiropractic and would recommend anyone to give them a chance. Don’t put off discomfort there is help." "I came to Rocket City Chiropractic because I was experiencing stiffness in my neck, low back pain, numbness in my left arm, and acid reflux. I had suffered with those conditions off and on for 20 years. I had seen my family doctor who had given me an anti-inflammatory that didn’t help and certainly wasn’t going to correct the problem. After just a few adjustments the low back pain has almost ceased, my neck has more mobility, the numbness in my left arm is much less frequent, and absolutely no more problems with acid reflux. The doctors and staff are courteous, very professional, and show genuine concern for ones health. As far as recommending rocket City Chiropractic I say "Go For It". You will get outstanding results in a short period of time." Vertigo Almost Gone - "I Feel Like I've Gotten My Life Back"
"I came to Rocket City Chiropractic because of severe vertigo that had been going on for over 17 months. I had a headache everyday during that time with the exception of 4 good days. Along with the vertigo I had numbness in my hands and feet off and on for about 16 months, loud ringing in my ears, sinus problems and high blood pressure. I had also suffered with painful periods and daily stomach aches. I had been to my family doctor and 4 ear nose and throat doctors for those conditions. I had 2 MRI’s, ultrasounds and multiple ear exams and they still couldn’t find the cause of my problem. I even had a total of two surgeries trying to fix the problem. One being on my thyroid and the other on my right ear which helped but only for a limited time. So I decided to come to Rocket City Chiropractic and I have had great improvement with almost NO vertigo! I feel like I have gotten my life back. The staff is great and good at their jobs. They greet you with a ‘family’ feeling and a caring attitude. I would absolutely 100% recommend Rocket City Chiropractic because your health is worth it!" "I was referred to Rocket City Chiropractic by my mother-in-law because I was having pain in my neck and low back. I was also suffering with allergy and sinus problems. I had suffered with those conditions most of my life. I had seen other chiropractors but not gotten the in depth care and results I have received. I like the fact that he was able to treat me throughout my pregnancy and help me with the pain and inconveniences that I was having as my body was changing. He has the ability to change my care to match my needs. Since I’ve been going to Rocket City Chiropractic, I have overall increased energy, much less neck and back pain, and no more sinus and allergy problems. Overall I have had a positive pregnancy with very little back pain and no sciatic nerve pain. The staff is incredible! They are always helpful, cheerful, and encouraging. When it comes to chiropractic I say you should absolutely try it, it will change your life!!" "I had major pain in my tailbone when I would sit for more than 20 minutes and the pain was really bad when I would lie down at night. I had been suffering with this for about 7 months and it was getting worse. I had went to a local pain clinic and they wanted me to have injections in my back. The pain medication did not work at all. I decided to go to Rocket City Chiropractic. They took the time to listen, answer questions, and explain what treatment was needed to correct the problem. I liked knowing what was wrong as I could look at the X-Ray and see exactly what the problem was. They were optimistic about a good outcome and I felt better after my very first visit!! I can now sit longer and rise quicker after sitting, and no pain at night!!! My overall health has been improved as I was having heart palpitations and digestive difficulties and even though I didn’t come to the office for those problems they got better also. The staff is wonderful with plenty of smiles everywhere. I can’t say enough! I tell everyone about Rocket City Chiropractic. I wouldn’t go anywhere else!"